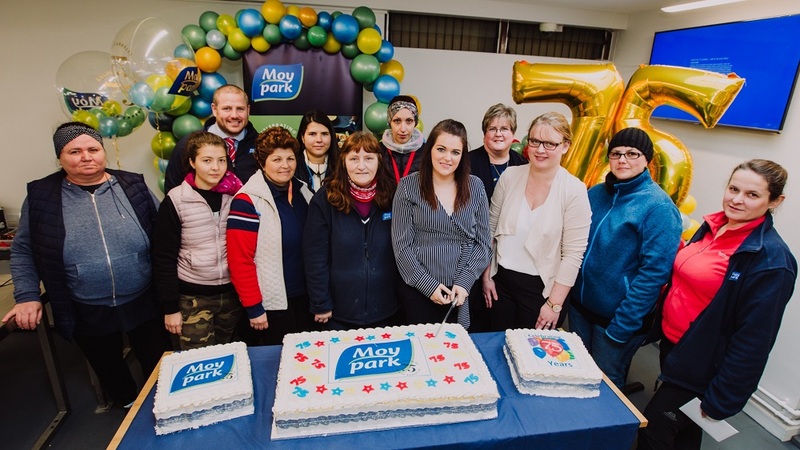 Moy Park has celebrated its 75th anniversary in business with celebrations across all its sites for staff members. Marking the milestone occasion, each site held a special birthday party complete with cake and commemorative gifts. Entering all employees into a birthday draw, Moy Park presented team members with 75 vouchers, with a top prize of £2,000. Celebrating the heritage of Moy Park and looking to the future, Chris Kirke, President of Moy Park said: “It’s been a momentous year for Moy Park. We reached a major production milestone, producing 6 million birds per week for the first time our history, announced a new UK charity partnership with Marie Curie and celebrated many internal achievements across our sites. It wouldn’t be a party without a theme, and we have proudly used our 75th birthday to promote our focus on sustainable growth, gifting all staff members with an environmentally friendly, reusable travel mug, branded with our anniversary logo. There has been a fantastic buzz to the celebrations and it’s been great to have all the teams come together to mark the occasion.